Be it their charm, their talent, or their grandiose personalities, there are many different aspects that attract a fan to their favorite artist. One that often goes overlooked is how relatable musicians come off to their fan base, or more closely, how open they are. Be it an artist’s lifestyle, their past, or what they do behind closed doors, fans are interested in those facets of an artist’s life. Even though relatability isn’t the first thing that comes to mind when they're trying to find a new artist, this personality trait has a huge impact on a musician's career. Let’s start this off with Kendrick Lamar. What helped really skyrocket Lamar's mainstream career was his 2nd studio album "Good Kid, M.A.A.D City". The project is a concept album and focuses on the hardships Kendrick faced when living in Compton. This includes his bluntness regarding how he changes his attitude around his friends, his lust for Sherrane, and the mistakes he and others have made around him. This level of honesty resonates throughout the album and helped spotlight his persona to a larger audience. Even though he does mention the superficial, his cadence still helps him come off as genuine. This is the type of transparency that draws in a new listener or audience, which would also explain Lamar's crossover track with Taylor Swift. GKMC was the first major project from Kendrick that made me, and his other new fans, really sit and think "Wow, that Kendrick Lamar seems like a cool guy to talk to", and that’s something that should be admired. Artist's always have the ability to grow as their career continues and that growth can also change the way you relate to them. The Weeknd is an example of just that. As a longtime fan of Mr.Abel Tesfaye, what originally drew me to him was not only his ability to sing, but how genuine he has always come off during his "Trilogy" projects. I really hadn't heard too many artists that would be able to have a range like Michael Jackson's, but singing about being homeless and taking ecstasy. Even today, his rawness in his ability to show his past mistakes still draw me to his music. Yet, as The Weeknd grew, so did the topics he would speak on. Instead of only speaking about his wrongdoings, he's let his artistry develop to the point that he can still make a club banger with Swae Lee ("Drinks on us") without even realizing that he's being nominated for a Nickelodeon award. Being open to your audience doesn’t always yield the best results and this can have a negative impact, as seen in the late Lil Peep. 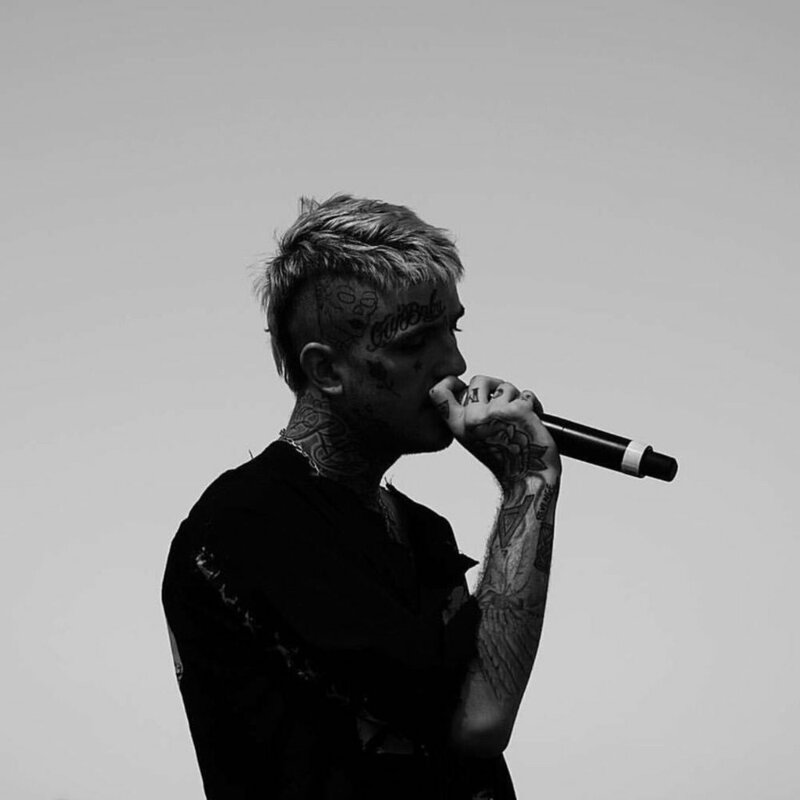 Peep was an upcoming rapper/singer known mainly in the underground scene who died due to a drug mixture of Xanax and fentanyl. His music focused on his struggle with his mental issues and his drug use. Lil Peep's fan base was also predominately teenagers who saw him a voice for their own emotional distress, like how Kurt Cobain was seen by his fans in the early 90's. The thing about Peep that makes him a dangerous example for younger generations is how blunt he was regarding his drug abuse. From Instagram, live streams to social media posts, he put himself on display taking Xanax. For kids, especially those not knowing how to deal with their own mental problems, seeing a musician they admire deal with their mental health through self-medication isn't leaving the best example for them. Of course, rappers shouldn't be looked as role models and Lil Peep is definitely not the first or last artist to make their drug use known to public, but the reason I use him as an example is because of his untimely passing. I was a fan of Peep and it’s still a bit surreal to hear of someone with potential passing at such a young age, which is why we as fans need to take responsibility for this glorification of drug culture, regardless of how honest an artist is regarding it. So I'm sure you're asking yourself "Well, Wilkye, what are you getting at, my dude? ", and here's my point: like everything else on this planet, there will always be positives and negatives to something such as being open as an artist. I don't want to claim at all that its bad to enjoy music that’s more superficial. Sometimes, it’s just one of those nights where the kicks are looking crisp and Mami is eyeing you from across the room and you might just need "March madness" to be your theme for the night. Yet, sometimes, you also need some SZA when you're feeling at your worst, just to feel like you're not alone in what you're going through, and for some people, that's all they really need from music.